The term MLS often comes up when you are searching for real estate online. M-L-S stands for Multiple Listing Service or Multiple Listing System. MLS is a local database of properties for sale, pending and sold in the service area covered by that MLS. Local MLS’s around the US, are online listing warehouses that allow members to efficiently and effectively market properties for sale to other brokers and, through additional syndication and data feeds, to the public around the world. The MLS gathers data on home, land and even rental inventory. Through it’s rules and regulations for inputting information and disseminating information, it facilitates cooperation amongst brokers, allows for more accurate property appraisals and has begun to standardize the marketplace for real estate information. Brokers and their Realtors use the MLS to look up detailed information on properties listed in the area their real estate board services. For example, our local board in Naples, Florida is the Naples Area Board of Realtors (NABOR) and our MLS is Southwest Florida MLS. Southwest Florida MLS in Naples is a collaborative project put together by the REALTOR® Boards of Southwest Florida so that members can share local real estate information. Only members in good standing, with proper licensing, have access to the system. System access is online through the Internet. For a seller, the main point having your home listed in the MLS is to expand your sales force exponentially. Your property is accessible to Realtors locally and around the world. Instead of having just one agent working for you, you have thousands of agents and thousands of websites where potential buyers can find your home. Although my colleagues may not like that I’m releasing this cat-out-of-the-bag, the MLS is far from perfect. Too often, Realtors who incorrectly enter data or intentionally alter data to manipulate the system. One way real estate agents manipulate the MLS system is to remove a property through withdrawal and then immediately re-list it. Don’t be fooled. These re-listed homes go out to the hot-list (a compilation of new homes, pending and properties that have changed their price) to other agents and the public (through sites like Listingbook.com and others) as newly listed homes when that is far from the case. Often this is done to show fewer days on the market (DOM). It appears as a new listing, but really it’s the same old listing with a different MLS number (see Secret #3 below). Buyers beware. Other times, mistakes are not intentional but made out of input error or incompetence. For example a property’s total square footage could be mistakenly put into the field for living area square footage or visa versa. There is no real checks and balances system here. If a mistake is made, it may go unnoticed until another Realtor or potential buyer points it out. The moral here is don’t trust everything you read online. Verify the facts with other sources like the local property appraisers office or through professional inspections of your own. This principle led to the first MLS in the late 1800’s when real estate brokers first gathered to share information & agreed to compensate other brokers who helped sell their properties. MLS Secret #2 – Why don’t I see my just listed home on Zillow? 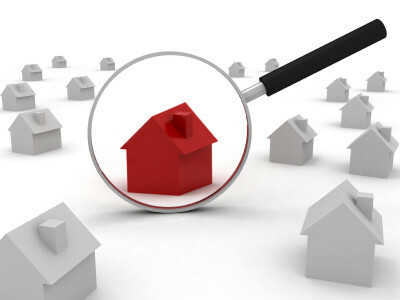 Your property may not be listed everywhere online. Through IDX or Internet Data Exchange, listing agents can choose to share a property listing with certain data feeds like Zillow, Realtor.com and Broker Reciprocity. While listing your property, if an agent fails to check those boxes (or choose not to) , your property will not show up on those sites. Broker Reciprocity is the National Association or Realtors (NAR) policy of allowing brokers to exchange consent to display one another’s listings on the Internet. This is also known by several names including Internet Data Display (IDD) and Broker ReciprocitySM. “Regardless of the label, it is a powerful tool to enable brokers with a business presence on the Internet to attract consumers,” says Laurie Janik, NAR general counsel. As in any proper database, each property listed on the MLS is given a different and specific MLS number at the time it is entered into the system. This number is the same regardless if you are viewing the property on Realtor.com, Trulia.com or on a real estate agent’s website. MLS numbers are 9 digits long and use part of the year listed along with a sequential listing number to differentiate them from thousands of other listings in the area. For example, homes listed this year in 2019 will start with ‘219’ then six more numbers. The fifth home listed in 2019 will have a listing number of 219000005 and so on. It’ not rocket science, but it can give you a true idea when the property was listed and how long it has been on the market. Realtors can search the MLS database in many ways that the general public does not have access to. Certain fields are kept secret and only Realtors have access to them. NAR has set policies that permit brokers to show certain MLS information on their websites through IDX. Realtors are the only ones who can access information like a properties listing history. The secret here is to ask for the information you can’t get online on your own. Have your Realtor print out a full copy of the property listing that includes all the data available to them in the MLS system. You will never see it, but Realtors are able to see how much the listing Realtor will pay them, usually 50% of the total commission, at the bottom of each listing in the MLS. The listing agent offers a percentage of the purchase price to the buyer’s broker depending on their contractual agreement with the seller. This information is only visible to Realtors in the MLS. According to NAR 5.4% of a price of a home is being paid to the buying and selling brokers. The listing agent recoups the fee from the seller and typically shares 50% with the buyer’s agent. Lower and higher commissions are out there depending on the property, but this is the current National average. If you do purchase a home there are no secrets at closing when it comes to commissions. The amount paid to each brokerage office involved in the transaction is shown as a line item on the HUD-1 Settlement Statement. Keep in mind this amount may differ from the actual dollar figure your agent is paid from his brokerage office. The broker keeps his share out of the total listed on the settlement statement and then pays the real estate agent according to their in-house agreement. Agent agreements can be anywhere from 25% up to 100% of the commission received. The MLS is a wonderful tool when you know the potential pitfalls and are able to ask your Realtor the right questions (e.g. Please provide me with the listing history?). Now that you know some of the secrets of the MLS, hopefully you will be better prepared the next time you see property data displayed on websites across the Internet.